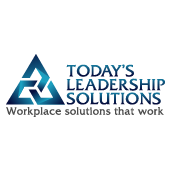 A unique service offering, only through Today’s Leadership Solutions. Systematically apply the principles of behavior management to your organization to achieve unprecedented improvements in gross and net profit! This technology can be applied to sales or operations and involves a series of interventions designed to maximize individual performance every step of the way. Identify key behaviors for success, measure them and reward top performance. You will be amazed at what can be achieved in a relatively short period of time! The return on investment for this management system is second to none! We offer several options, from team webinars with live workshops and Q&A sessions to consulting projects.